The economy is suffering. The prices rise ever more while the salaries stay the same or get even lower. People lose their benefits and work extended hours with no extra pay, while others lose their jobs altogether and even though the picture I’m painting is not even nearly as dire as the situation in the 30s during the Great Depression, the Great Recession of 2007 still haunts our lives and reminds us that it’s here to stay for at least a few more years. Sure, the top 1% have almost fully recuperated from the financial blow, but the rest of us are just now beginning our journey to recovery. We know that the process will be long and painful but the only thing we have left is to just hope for the best and try not to despair. Strangely enough, help in overcoming these difficult challenges comes from all directions, including app makers. There are apps out there, at any given moment, that can grant you access to everyday services for free. 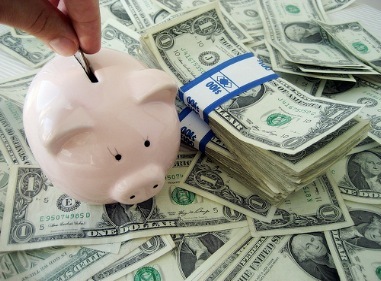 You can also find applications to help you spend your money rationally and save more. In these arduous times we need all the outside assistance we can get. Here are some rather useful apps I’m sure you will enjoy. Skype is one of the most famous programs for Internet telephony in the world. Even though it was purchased by Microsoft a few years ago, not much has changed in the system â?? it’s the same old free and useful tool for communication. One of the more interesting things around Skype in recent years is the fact that it was adopted as a native mobile app so now you can talk to your friends and family for free and from anywhere as long as you both have Internet access and the client enabled. I guess it seems a bit strange that the first app I’m recommending is of the communications variety, but when you think about how much money it saves you in free conversations, it’s really worth it. All you have to do is convince your friends and family to use it and suddenly you can talk for free, cutting your phone bills dramatically. Skype enables you to call, message and even video chat with your loved ones. There are a few functions that are reserved for the Premium version (Microsoft have to make money, too, right? ), like video chatting to more than one person in the same time, but that’s not something essential you really need, when you think about it. You want to save some cash? Skype is your best bet. How many times have you purchased an item just so you could see it 10 bucks cheaper when passing another store on the way home? It’s awful, isn’t it? You almost feel as if you’ve been cheated. You can easily avoid those mishaps when you’re shopping online. You can easily find and compare the prices of different products and make the best choice. But this is impossible in the real world… Isn’t it? Well, it turns out it’s not. Enter RedLasaer Barcode Scanner! This helpful little app will scan the barcodes of different products and search far and wide for cheaper prices, either online or in your close proximity (although that functions works only in bigger cities). Just scan the barcode and let the program do its thing. You will never regret buying something at a higher price ever again! Gas prices are ghastly right now! Lucky for you, MyGas can locate the nearest and cheapest available offers in just a few swipes on the touchscreen. Whether you need to urgently refuel and you’re in an unknown area, or you think you might find better prices, MyGas is there to help. It will provide with a map to the nearest, cheapest gas it can find. Sure, you won’t save millions, but every dollar counts! Author Bio: Morgan Johnes loves to write about technologies and business topics. He works as a manager of http://www.perfectcleaning.org.uk/deep-cleaning-mayfair-w1/ and has a lot of experience to share. I have a (FREE) app called Liqstr, that also aims to save people money. Its like GasBuddy, except for booze. Check it out at Liqstr.com!